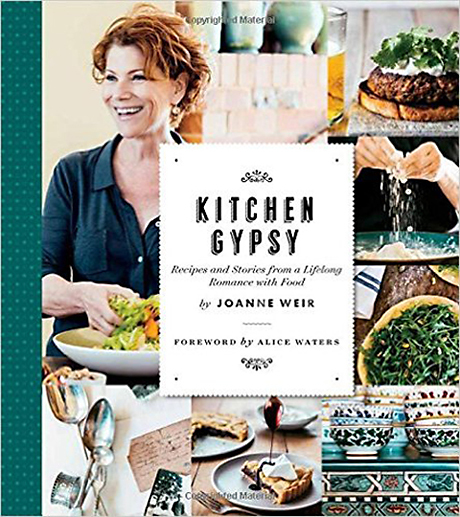 The 10 chapters are divided into pivotal points in her life, with recipes honoring them, such as “Scalloped Oysters,” which her mother made every Christmas; “Little Gem and Pickled Cucumber Salad with Green Goddess Dressing” from her time working at Chez Panisse; and “Fried Pork Belly Tacos with Pipian Sauce” from the Copita menu. 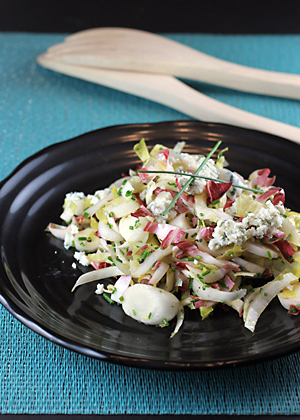 With its emphasis on ingredient-driven cooking, it’s no surprise that the endive salad is in the Chez Panisse chapter. Probably the hardest part of this dish — and it’s not all that cumbersome — is acquiring the salmon eggs. For me, all it took was making a stop at my local Japanese market. Those jewel-like eggs accent crisp, mildly bitter endive leaves that get dressed with a lemony creme fraiche dressing and fresh-snipped chives. In fact, if you take care in arranging everything, this could easily be turned into an hors d’oeuvre neatly eaten with the fingers with the self-containing endive leaves cradling the creme fraiche and salmon eggs. Imagine that with a glass of Champagne. I sure could. 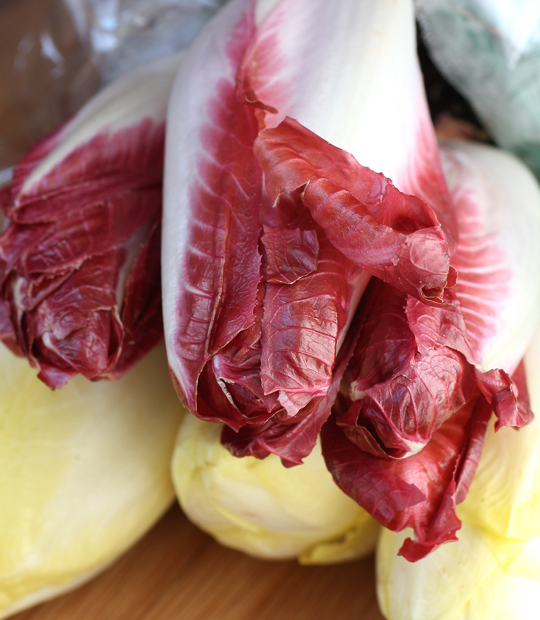 Trim off the base of an endive head and discard. Remove any leaves that are loose and place in a large bowl. cut off another roughly 1/4-inch of the endive base and continue to separate the whole leaves until the endive head is reduced to leaves. As you work, add the leaves to a bowl with the others. 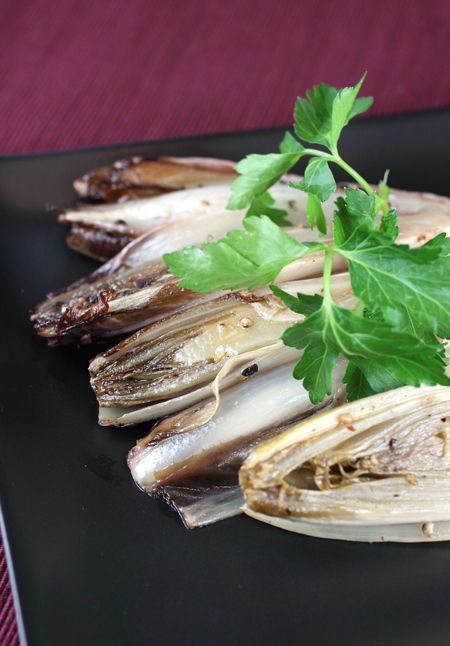 Repeat with remaining endive heads. In a small bowl, stir together the creme fraiche and lemon zest and juice, mixing well. Season with salt and pepper. 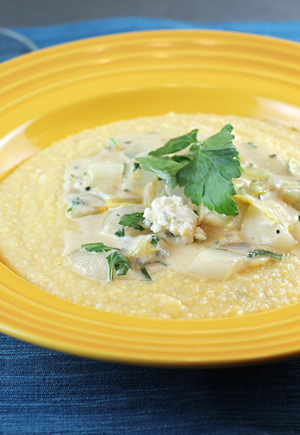 To serve, toss the endive leaves with the creme fraiche mixture. Transfer the dressed leaves to a platter. 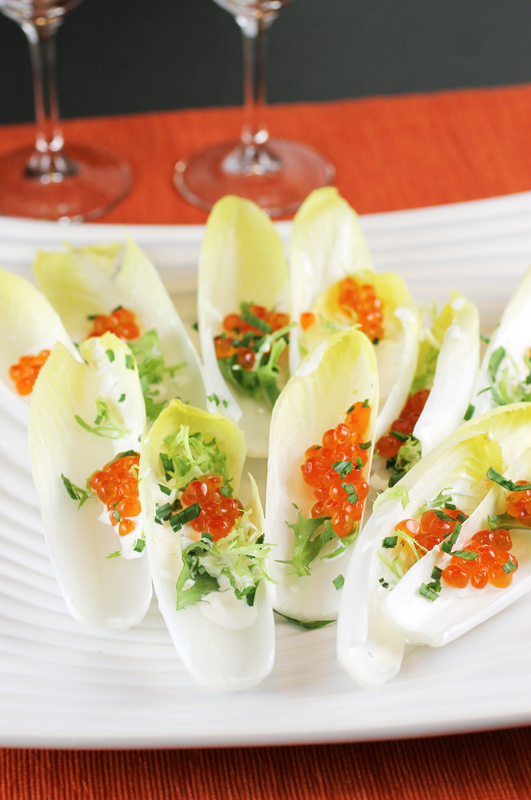 Spoon the salmon roe evenly over the endive. Garnish with the chives and chervil sprigs.